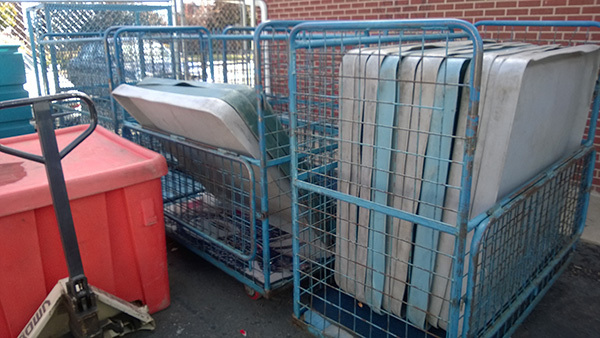 In the trade, these are called Textile Carts and Scrap-Mat Carts. 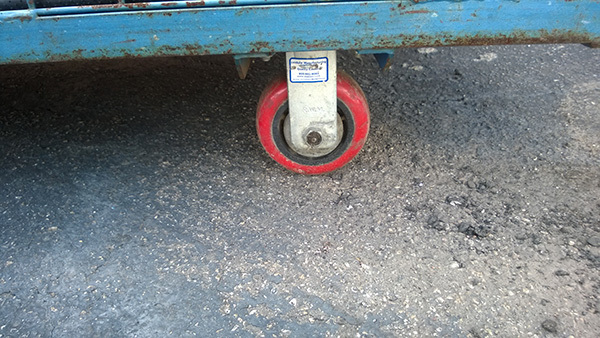 In your business you’ll call them “The Solution” – because of their wheels, they really are the solution for moving stuff around the shop. 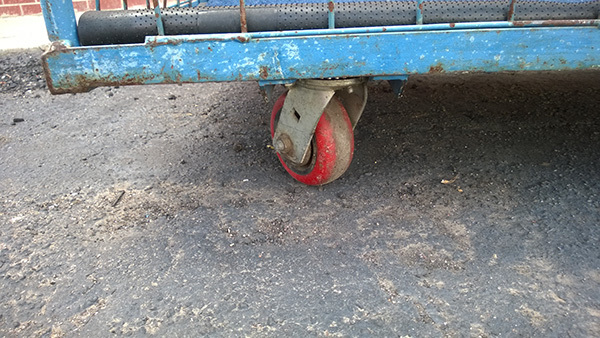 Plus, these guys are built for abuse and can be used in any environment to save your back when you need to move stuff in process from one place to another. 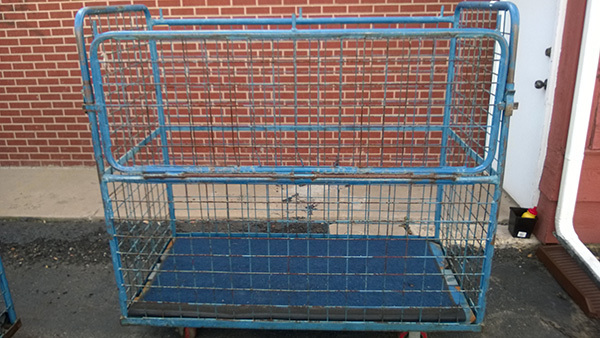 Brand-new, these carts would run between $675.00 and $980.00 – our price: only $150.00 each. Check out the pictures and then come to our plant to push a few of them around. 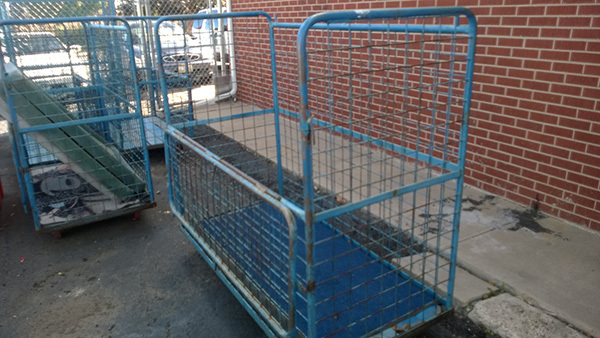 Use these carts for transporting product in you shop or store. Turn several trips into one.